LORETTO — A couple who believe the truth is not yet known about the 2003 shooting death of their teenaged son has turned to a nationally known psychic investigator to crack the case. Her new challenge spans two counties – Cambria, where the shooting occurred, and Blair, where 17-year-old Kalvin Yah-ner died July 10, 2003, of a single gunshot wound to the head. Two friends were nearby at the time of the shooting. Authorities have issued conflicting findings as to whether the death was a suicide or homicide. Their statement comes as Renier is scheduled to speak Thursday to the Pennsylvania Association of County Coroners’ annual convention at the Ramada Inn in Altoona. 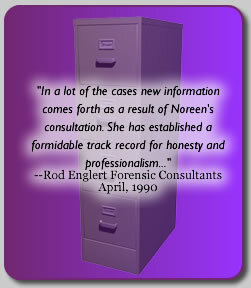 Renier, in an e-mail to The Tribune-Democrat, said she does not comment on ongoing cases. The parents said she has just begun to work on it. The Yahners have steadfastly discounted the state police’s determination that Kalvin, newly graduated from Penn Cambria High School, had committed suicide on a friend’s farmhouse porch outside Loretto. Instead, they point to a Blair County coroner’s jury. In January 2004, the panel rejected the finding that Yahner had killed himself, ruling instead that he had been murdered. Yet eight months later, after a probe by Cambria County detectives, Cambria District Attorney David Tulowitzki concluded that the shooting death was not a homicide and that no criminal charges would be filed. The DA could not be reached for comment Monday. Despite, Tulowitzki’s finding, Blair Coroner Patty Ross has continued to stand by the inquest ruling that Yahner was killed. Her office clarified Monday that it was the Yahners and not coroner’s officials who have retained Renier. The parents, who have pushed for criminal charges to be filed, have insisted that even though he was being counseled for drug abuse, their son was not suicidal. In their faxed release Monday, they said, “Forensic facts pointed out the physical impossibility of the alleged suicide to occur due to arm length, gun length, (Kalvin’s) range of motion of left hand and the trajectory of the bullet. 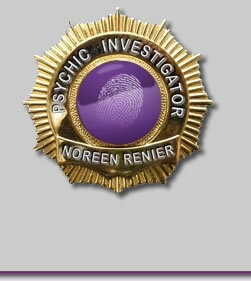 Renier, the only psychic to have lectured at the FBI Academy, said on her Web site that, in her work, she often touches objects the victim used or the suspect left behind. “The objects emit a field of energy which can be ‘read.’ This energy-field carries information, images, visions, feelings, etc.,” she said. In a high profile case in recent years, she was called by Jackie Peterson in early 2003 for help in finding her then missing pregnant daughter, Laci. Renier told Jackie that Laci could be found in “a place with water, a bridge and flat rocks.” Laci Peterson’s body and that of her unborn child later washed up on the shore of San Francisco Bay. She also is credited with forecasting the assassination attempt on the life of President Reagan in 1981.